Our professional friendly staff here at Crosspoint Family Dental is unique to other family dentist practices in the Chelmsford, MA area. We believe in providing an atmosphere of comfort and ease in addition to educating our patients in modern dentistry without fear. 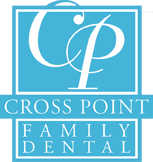 At Crosspoint Family Dental you can expect state of the art technology including digital x-rays, computerized education and all services performed at one location including root canals, Invisalign, extractions, implants, periodontal and gum disease treatment. Stop by our office anytime for a free tour of the practice and introduction to our dental services. Our knowledgeable staff can help with any questions you may have in regards to insurance, appointments, dental videos for adults and children. Explore our testimonials the see what our patients in the Chelmsford area are talking about. Call or visit today for a family dentist in the Chelmsford, MA area.